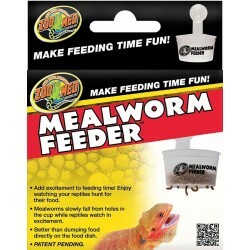 Add excitement to feeding time! Enjoy watching your reptiles hunt for their food. Mealworms slowly fall from holes in the cup while reptiles watch in excitement. Better than dumping food directly on the food dish.